They'll really make a holiday out of anything these days, huh? But National Feral Cat Day -- this Saturday Oct. 16 -- really is a day worthy of celebration, says the Washington Humane Society. The party started Thursday morning with a special CatNiPP clinic. 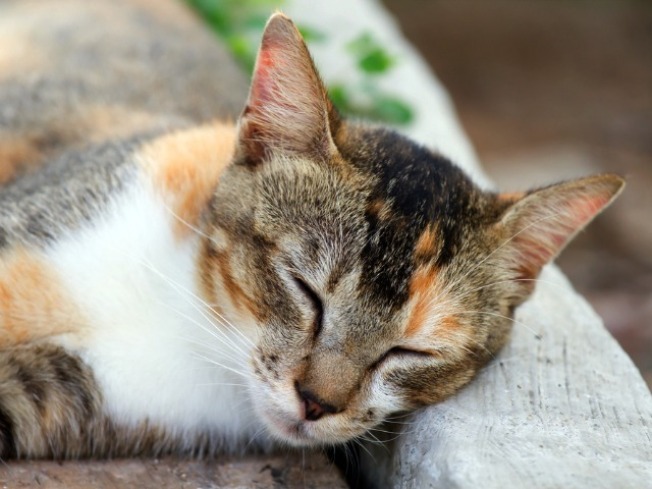 CatNiPP is the group's acronym for their Cat Neighborhood Partnership Program, designed to reduce by thousands the number of unwanted litters in the community. One unspayed female cat and her offspring can produce 420,000 kittens in just seven years, says the Washington Humane Society. CatSNIPP might be a more accurate name for the program. The stray cats are trapped (humanely, of course) and brought to the National Capital Area Spay and Neuter Center for sterilization. Very young kittens, who can still be socialized and adopted, are kept. But once the older cats have been examined, vaccinated and spayed or neutered, they're returned to their communities, because feral cats (a.k.a., alley cats) are too fearful of humans to adopt out. There are roughly 500 feral cat colonies in the District, and the CatNiPP program has helped reduce that population because some of the colonies involved in its Trap-Neuter-Return program have not had new litters of kittens for several years. Some neighborhoods previously plagued by cat complaints also notice the difference. "There are people out there that call us because there are nuisance behaviors that they see and... when you do the spay and neuter procedures, a lot of the things that you hear about, like cats yowling and spraying and fighting, those problems go away, so we try to get to the heart of that," said Program Director Alyson Burgess. The Washington Humane Society spays or neuters about 70 to 80 cats per month through its Trap-Neuter-Return program. The group is also holding a clinic this Sunday to allow District residents to bring neighborhood strays to the National Capital Area Spay and Neuter Center (1001 L St. S.E.) for free sterilization. Maryland and Virginia residents are also invited, and will pay a discounted fee of $45.